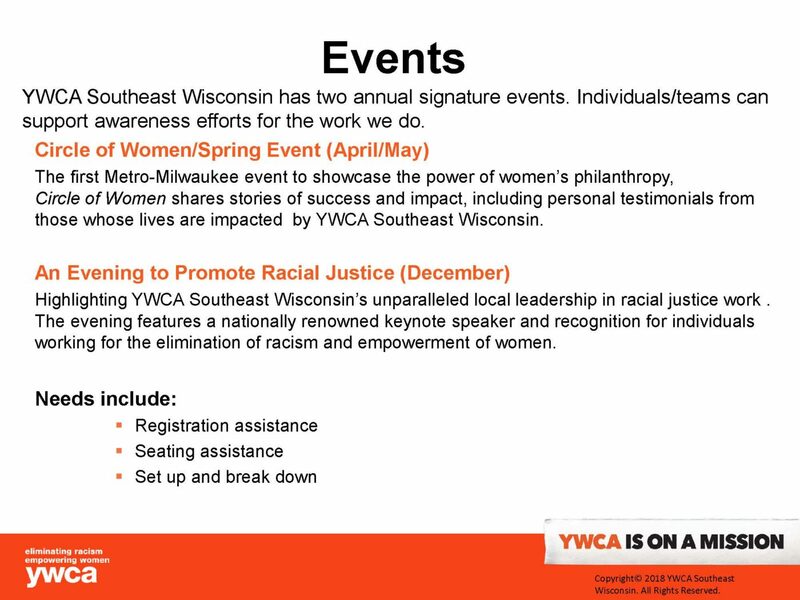 The YWCA Southeast Wisconsin has a proud history of helping our community’s women and families. 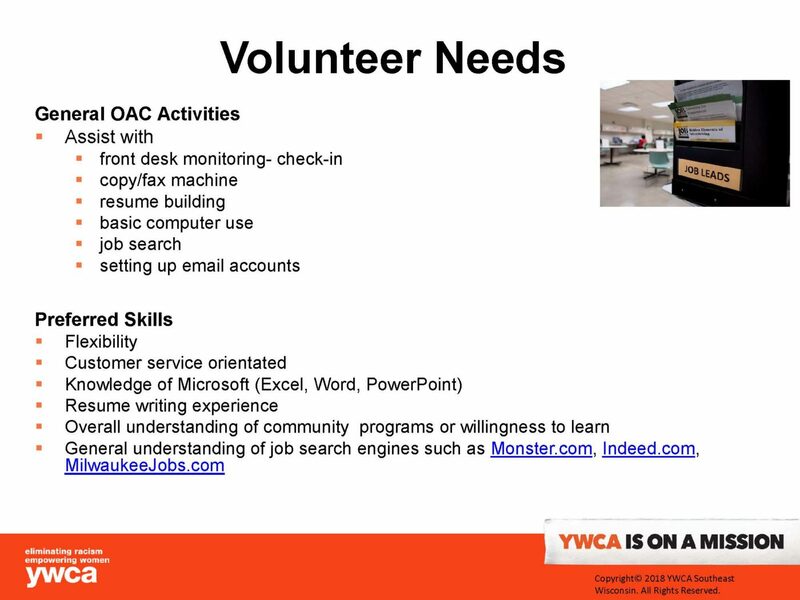 We welcome your interest in joining our volunteer team. 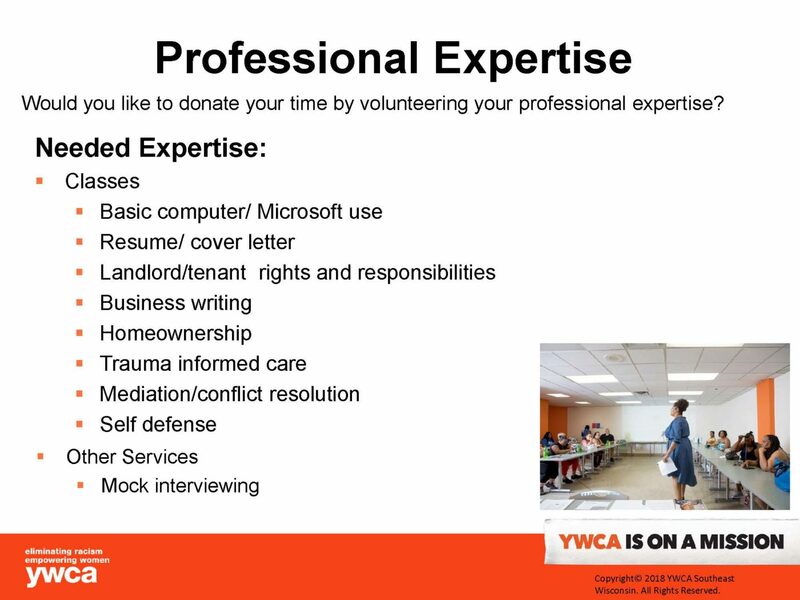 You have our commitment that we will provide you with the support, respect and leadership needed so that volunteering at the YWCA will be a meaningful experience for you. 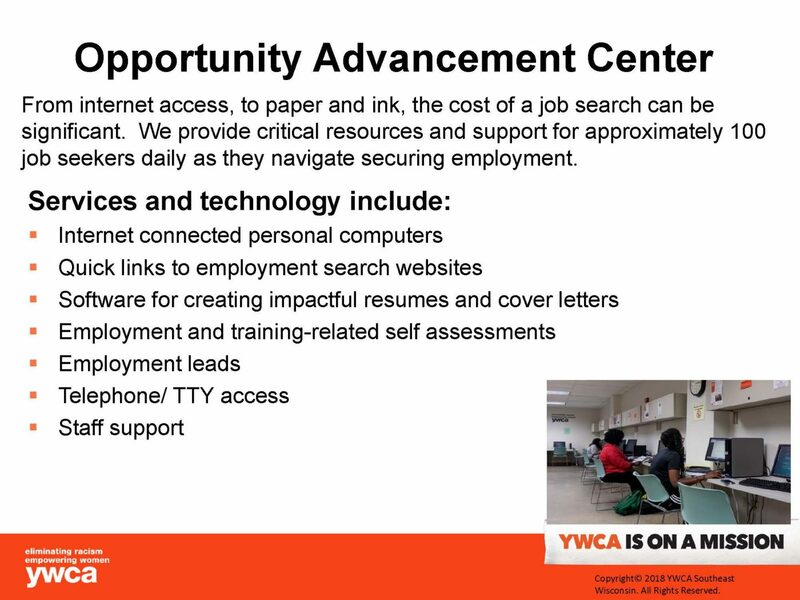 To learn more about our volunteer opportunities, please contact us at communication@ywcasew.org. 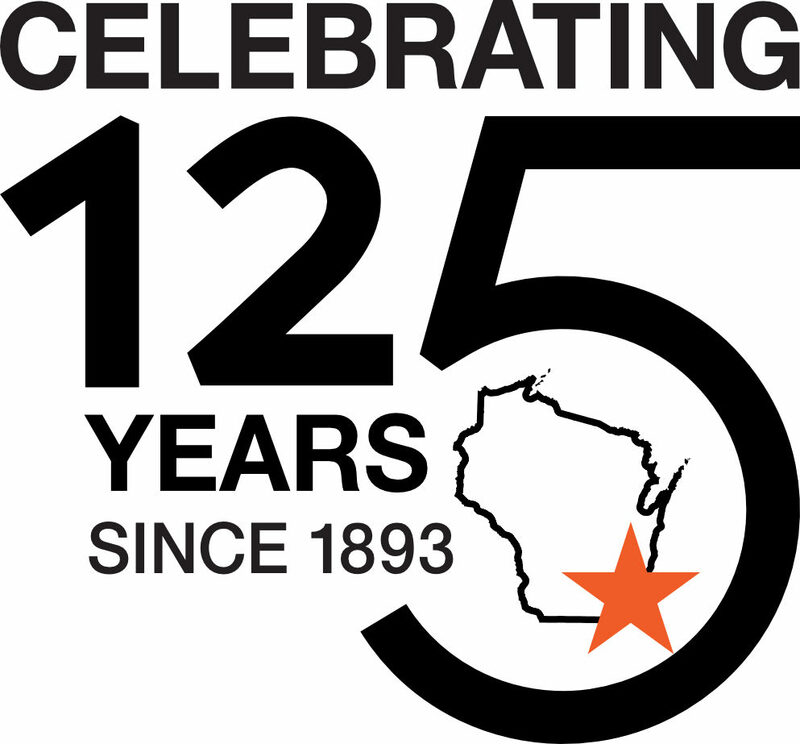 We would love to have you join our team as we meet the needs of our community. Please fill out the form below with your availability, desired time commitment and your area of interest. Our volunteer coordinator will be in touch soon. If you selected Professional Expertise, please note area of interest. Highlight Multiple Selections for more then one time slot.